The Villa at Ridder Country Club provides an elegant, sophisticated atmosphere for any wedding day. With both indoor and outdoor ceremony options, two separate ballrooms, and an outdoor tent area, The Villa is an extremely versatile reception venue. 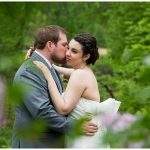 The grounds and golf course add a colorful woodsy backdrop, and there are several beautiful spots for photos, including a stunning bridge for bride and groom portraits. For a chic wedding venue South of Boston, The Villa in East Bridgewater, MA is one of our top picks. Below is a mixed gallery where you’ll find some of our favorite Villa wedding photos! The collection on this page gives a great sense of our photojournalistic shooting style, and all the great wedding photography opportunities The Villa has to offer. Enjoy!